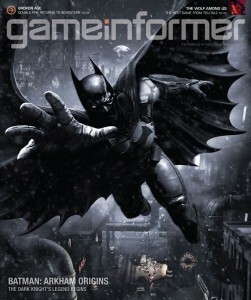 After months of speculation, the third game in the Batman: Arkham video game series has been officially announced. Titled Batman: Arkham Origins and set for release October 25, 2013 on the PC, PlayStation 3, Xbox 360, and Wii U, the game is centered around Black Mask placing a bounty on the head of Batman bringing eight of the world’s most dangerous assassins to come to Gotham City on Christmas Eve. A prequel to the first two games Batman: Arkham Asylum and Batman: Arkham City, longstanding rumors persist the Dark Knight will cross paths with heroes that later form the Justice League of America together. Reportedly, players will also have the opportunity to do battle with villains not generally associated with Batman on side missions. It’s also being reported the map of the game will be twice the size of Arkham City as Batman will be able to adventure through Old Gotham (largely the setting of Arkham City) and New Gotham (seen from Arkham City in the distance in the previous game). There is some controversy that should be noted with this third game in that writer Paul Dini and game studio Rocksteady, who were the architects of the first two games, were not involved in the new game’s development. Only time will tell what effect, if any, this new avenue will have with the franchise. Lets take a look at who could be some of the assassins that will try to collect on Black Mask’s bounty. Primarily a Teen Titans villain, Deathstroke has been confirmed as one of the assassins making the trek to Gotham appearing in promotional images. The villain has been part of a multimedia assault appearing outside comics in places like video games (Injustice: Gods Among Us, Lego Batman 2: DC Super Heroes, DC Universe Online, and Mortal Kombat vs. DC Universe), television (Arrow, Young Justice: Invasion), and the upcoming animated film Justice League: The Flashpoint Paradox. Deathstroke had previously appeared in Batman: Arkham City Lockdown (a spin-off of Batman: Arkham City for iOS) voiced by Larry Grimm working for warden Hugo Strange. 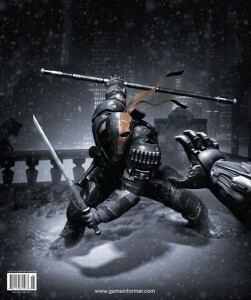 In the comics, Deathstroke is Slade Wilson, a soldier in the United States Army turned mercenary following experiments by the government to create a super soldier. All of his physical attributes enhanced to superhuman levels, Wilson would be chosen by the criminal organization H.I.V.E. to assassinate the Teen Titans. Wilson’s son Grant would instead take the assignment for receiving similar experiments that enhanced his father only to eventually perish from those same treatments. From then on, Deathstroke and his family have been intricately tied to the Teen Titans. Appearing in Batman: Arkham City voiced by Chris Cox and billed as “the world’s greatest assassin,” Deadshot is hired by warden Hugo Strange and inserted into Arkham City following the arrest of Bruce Wayne to kill political prisoners who pose a threat to Strange (including Wayne). In the comics, Deadshot is Floyd Lawton, born into an affluent family with an abusive father. On one occasion while Lawton’s father was beating his brother, he decided to take a rifle and murder his father only to instead kill his brother. Scarred by the incident, Lawton dedicated himself to developing flawless accuracy while also generating a death wish for a dangerous combination. 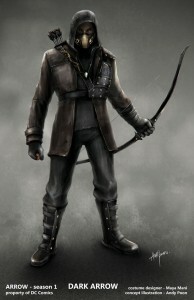 Becoming the vigilante Deadshot, Lawton tried to replace Batman only to be put away by the hero. Deadshot would later escape thanks to tricking the Penguin out of his exit strategy from prison to try and exact revenge on Batman. When that failed, Lawton became a lucrative assassin. 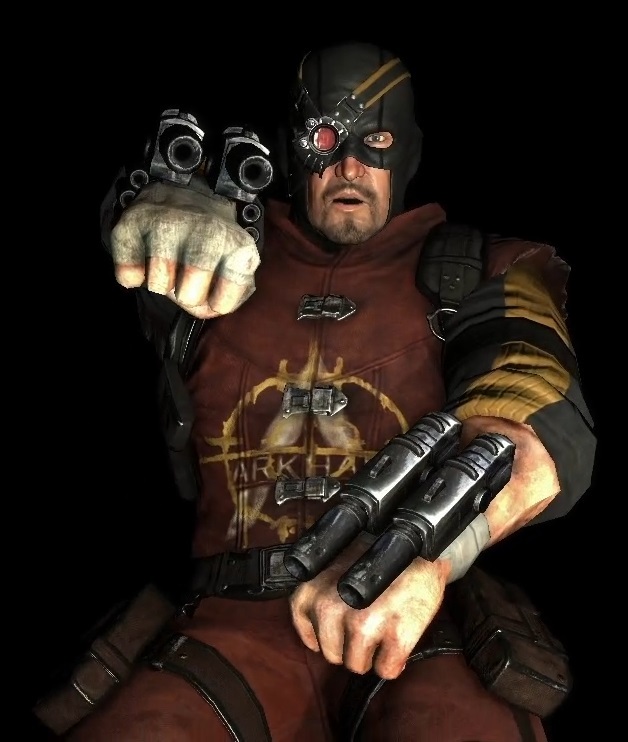 Deadshot has had a similar media push to Deathstroke appearing in the game Lego Batman 2: DC Super Heroes and is featured prominently in the television series Arrow. 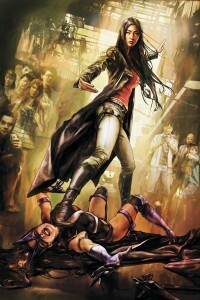 Primarily a Richard Dragon, Kung Fu Fighter and Birds of Prey enemy, Lady Shiva is reputed as one of the greatest martial artists on Earth (referred as the greatest on several occasions). Believing Richard Dragon to have killed her sister, Sandra Woosan dedicated herself to the martial arts discovering herself to be a prodigy. 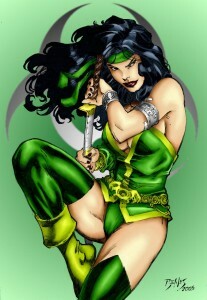 Learning Dragon to be innocent, she would adventure with him and his best friend Bronze Tiger before parting ways becoming one of the most notorious assassins on Earth. Shiva would later become closely tied to the Batman franchise, retraining Batman in martial arts following recovering from a broken back given the hero by Bane and Shiva’s daughter Cassandra becoming Batman’s protege (developing a father/daughter relationship). 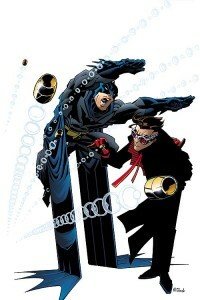 Among the fan community, the issue of who is the better martial artist between Batman and Shiva has been contested for many years. Lady Shiva appeared in video games Lego Batman 2: DC Super Heroes and DC Universe Online. A trick archer under the stage name Merlyn the Magician, Merlyn inspired a young Oliver Queen toward archery later facing Queen as the Green Arrow in an archery contest besting the Emerald Archer. Following this, Merlyn would join Ra’s al Ghul’s League of Assassins (and subsequently its elite Seven Men of Death) becoming one of his most notable agents, at one point selected to assassinate Batman when the Justice League of America turned their focus to the League of Assassins. Later, when Queen Bee assembled an Anti-Justice League, Merlyn was drafted to counter Green Arrow. Merlyn would bounce around, taking contracts outside the League and even joined the assassination group the Killer Elite (which included Deadshot). The assassin Lady Shiva is also tied to Merlyn, the archer having been one of the teacher’s for Shiva’s daughter Cassandra. Merlyn is an integral character in the television series Arrow as Malcolm Merlyn is the primary antagonist to Oliver Queen and whose son Tommy is Queen’s best friend. Primarily an enemy of the Teen Titans and Birds of Prey, Cheshire is the world’s leading assassin in the use of poisons and toxins (one of the best assassins regardless). However, she’s also a remarkably accomplished martial artist (one of the best in the world), but more notably she’s triple-jointed able to manipulate her body into seemingly impossible contortions making her adept at infiltration and escaping bonds. Born Jade Nguyen, the child who became Cheshire was sold into slavery where she was raised by a Chinese freedom fighter as a guerrilla soldier eventually working independently as an assassin. Becoming a foe of the Teen Titans, Titan Roy Harper was tasked by the US government to bring her into custody working undercover to gain her confidence. Instead, the pair fell in love and Cheshire bore him a child in Lian. Going their separate ways, Cheshire left their daughter to Harper knowing her lifestyle would only endanger Lian. Nguyen would go on to team with Deathstroke, form the Ravens, and join the anti-Titans team Tartarus, Secret Six (alongside Deadshot), and Deathstroke’s mercenary squad the Titans. 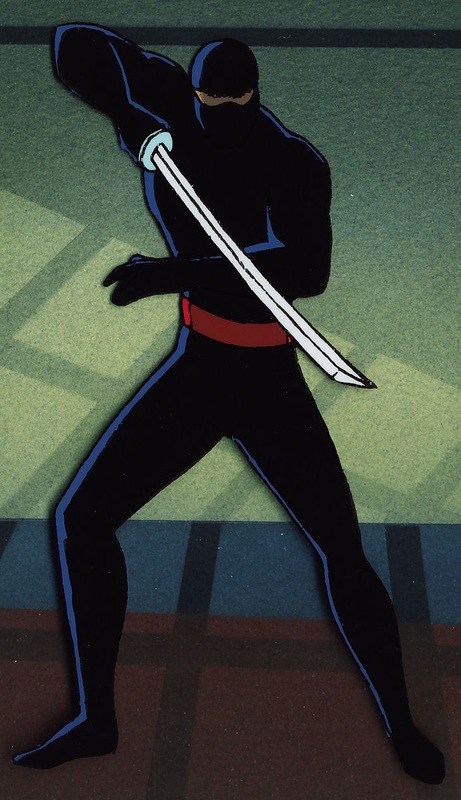 Cheshire was featured prominently in the animated series Young Justice as the sister of heroine Artemis and daughter of the villainous Sportsmaster that will also appear in the video game adaptation Young Justice: Legacy. An assassin whose left hand is replaced by a hook, Hook was initiated into Ra’s al Ghul’s League of Assassins by killing trapeze artist Boston Brand (who subsequently became the hero Deadman). Later, Hook operated covertly within the League joining its elite Seven Men of Death. Hook appeared in the animated series Young Justice as a member of Ra’s al Ghul’s League of Shadows whose hook is oversized, capable of being launched with strength enough to shatter stone and connected with a retractable chain. Appearing in Batman: The Animated Series, Kyodai Ken studied the arts of the samurai alongside Bruce Wayne where the two became heated rivals. Ken would try to steal his teacher’s prized katana sword only to be discovered by Wayne and expelled from his dojo. Following this, Ken took on a career as an assassin known simply as the Ninja. Ken came into conflict with Batman when he tried to exact revenge on Wayne uncovering Wayne and the vigilante were one and the same. Defeated regardless, Ken returned to Japan and studied the death touch so he could finally duel and murder Wayne only to fail when it couldn’t penetrate Batman’s prepared body armor. The Ninja seemingly perished in an explosion. One of the premier assassins on Earth, David Cain was a teacher to a young Bruce Wayne and shared a child with fellow assassin Lady Shiva in Cassandra Cain. David would be the one who assassinated Shiva’s sister and would’ve killed Shiva until she agreed to bear the assassin a child to raise in the pursuit of the perfect killer. Cain would share his fatherly responsibilities with the League of Assassins including Merlyn and Bronze Tiger who molded Cassandra into a fighter without parallel. Cassandra would abandon her father to seek out Batman and David would later come to Gotham hired by Two-Face to kill James Gordon. Failing this, Cain would be hired by Lex Luthor to frame Bruce Wayne for murder. Failing again, Deadshot would be hired by Luthor to kill Cain but failed. David would later partner with Deathstroke. A master assassin trained by the Hammer, an elite cell of the KGB, Anatoli Knyazev (known by the CIA as the KGBeast) was sent to eliminate prominent United States officials involved with the Star Wars program. 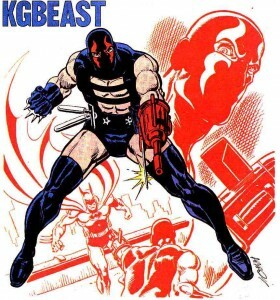 The final name on his hitlist being United States President Ronald Reagan, the KGBeast would cross paths with Batman when his assassination attempt came during a visit Reagan made to Gotham City. Preventing the Beast from completing his mission, the assassin went into hiding before becoming an infrequent supervillain operating within Gotham. KGBeast would meet his end by hitman the Tally Man under orders of the Great White Shark. Anatoli Knyazev was mentioned but yet seen in the television series Arrow as the head of the Solntsevskaya Bratva whose life was saved by Oliver Queen at some point on Lian Yu. An orphan raised by a Sicilian mobster, Philo Zeiss was trained to become a hitman that was surgically modified with superhuman reflexes and perception. Coming to Gotham to work for mob boss Lew Moxon (who ordered the murder of Bruce Wayne’s parents), he was fired when Deadshot botched an assassination of Moxon instead confining the mobster to a wheelchair (Zeiss more enthralled with trying to best Batman in hand-to-hand combat than protecting Moxon). Zeiss would later kill Moxon and his new bodyguard Hellhound. Zeiss went on to work for Pasquale “Junior” Galante and would become an enemy of Catwoman.